According to CSIRO Behavioural Scientist Dr Sinead Golley, co-author of the study, it's important to understand your diet personality type before starting any kind of diet: "For anyone who has found eating to lose weight difficult, your personal Diet Type, daily habits and lifestyle factors could provide the answer to why some weight loss methods haven’t worked for you in the past." The most common diet type is known as "The Thinker", with women making up 86 percent of this group. Thinkers account for 37 percent of the population and tend to over-analyse their eating, which can set up a feedback loop of unrealistic expectations and failure-related diet guilt. The second most common diet group are identified as "Cravers", representing one quarter of all people studied. Cravers find it very hard to resist temptation, with 58 percent of this group classified as obese. "One in five Cravers have tried to lose weight more than 25 times and they say that chocolate and confectionery are the biggest problem foods to resist," Dr Golley said, adding "On the other hand, people with the most common diet personality type – known as the 'Thinker' – tend to have high expectations and tend to be perfectionists, giving up when things get challenging." "The Socialiser" is the third most common group at 17 percent of those surveyed, with food and alcohol playing a big role in how this group interact with friends and family members. "The Foodie" type is 16 percent and growing, with this group most likely to have a healthy diet and be within normal weight range. The fifth and final group are known as "Freewheelers", with these spontaneous and impulsive eaters making up just 4 percent of people surveyed. A higher percentage of men are in this group, with 55 percent of this personality type recognised as obese. 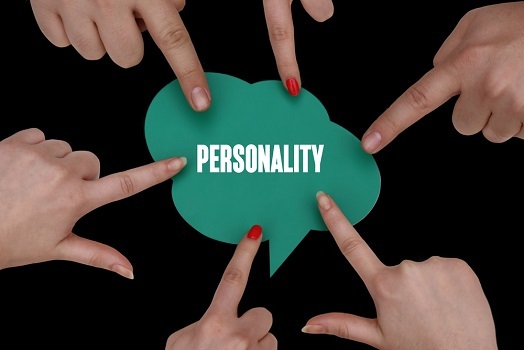 When studying personality types, researchers found some interesting food personality trends across generations. "Baby boomers and the older, silent generation (aged 71 years and over) were more likely to be Socialisers and Foodies - suggesting lifestyle and social connections influence a person's eating patterns at different stages of life - while millennials and Gen X were more likely to be Cravers, Thinkers and Freewheelers," said Dr Golley, adding "We also found younger people commonly used fitness trackers and apps to lose weight, while older generations turned to diet books and support groups." While it may not be productive blaming your personality for all your diet fails, understanding your relationship to food can make it much easier to set up realistic diet and exercise goals.